I hate to admit it, but I’m not particularly graceful. Consequently, I tend to get my share of bruises. And that’s why I need my homemade arnica salve. This fall I was doing some garden clean up and was moving dead plants from the garden to our compost area with a wheelbarrow. As I was dumping my load, I lifted the wheelbarrow slightly and let it fall back to the ground in order to remove every last plant. I do it all the time. But this time, the wheelbarrow came back down and hit my shin. Yeow. I was in pain, and I knew I would end up with a nasty black-and-blue mark. 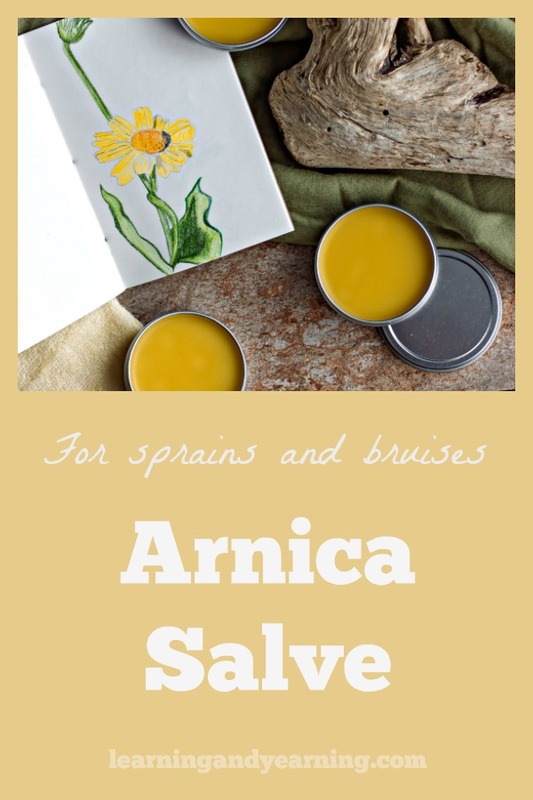 So I quickly went inside and grabbed my arnica salve which I keep on hand for sprains and bruises. 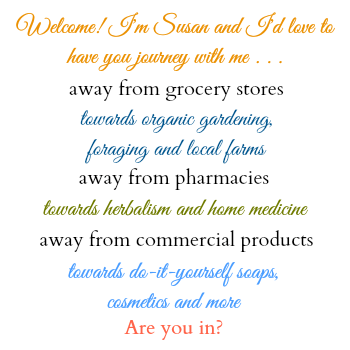 The pain relief was almost immediate, but what surprised me most was that in the days that followed I developed only the faintest bruise. The arnica salve really worked. Ice is a good option for bruises, too, of course, but with the homemade arnica salve I did not have to stop what I was doing to treat my bruise. And I was back to work in my garden in under a minute. 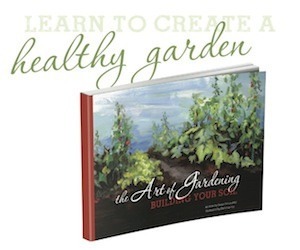 I give instructions for growing arnica in my post, 20 Medicinal Herbs You Can Grow From Seed. 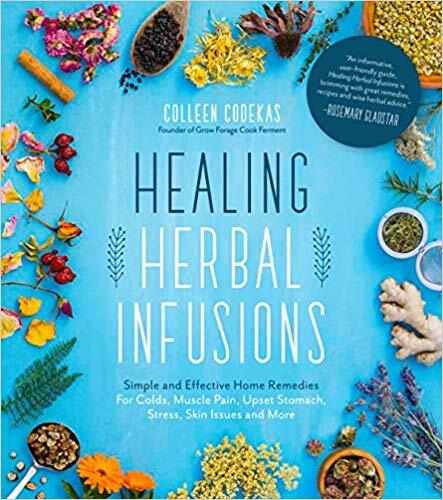 Healing Herbal Infusions, by author and blogger Colleen Codekas, is full of dozens of simple, safe, and effective home remedies for everything from colds and upset stomach to skin problems and stress. 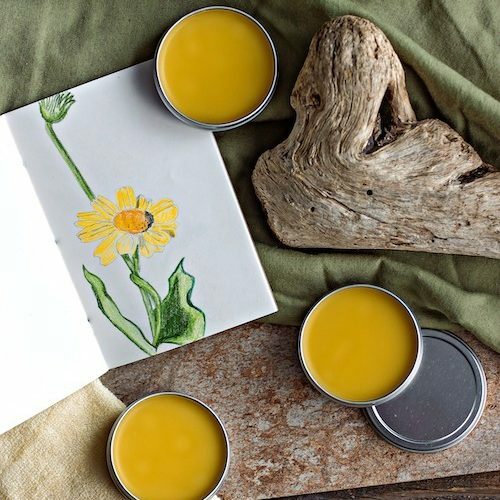 And this recipe for arnica salve comes straight from Healing Herbal Infusions. Reprinted with permission from Healing Herbal Infusions by Colleen Codekas, Page Street Publishing Co. 2018. 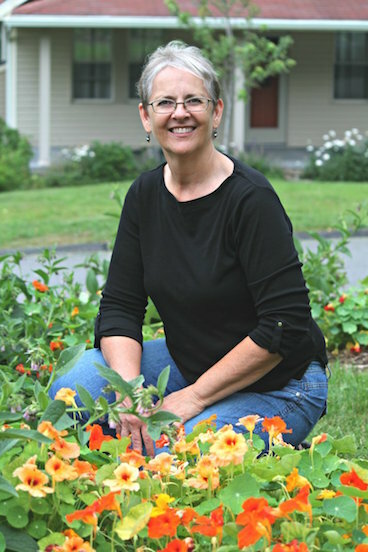 Photo credit: Colleen Codekas. Illustration credit: Jennifer Anne Nelson. 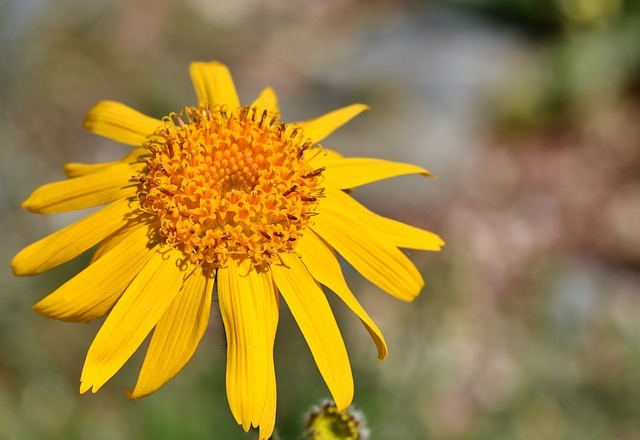 A word of caution: Arnica is toxic when taken internally, so it should only be used topically and on unbroken skin, and it should never be ingested. Because of this, it should be stored well out of reach of children and pets. Arnica montanais a yellow mountain flower that is particularly good at relieving the pain associated with sore muscles, sprains, strains and bruises. It has powerful anti-inflammatory properties that rival over-the-counter painkillers, all wrapped up in one pretty flower. Combine the arnica flowers with the coconut, olive, and sweet almond oils in a half-pint jar. Cover the jar with a lid and shake to mix well. Put the jar in a cool, dark place to infuse for 4 to 6 weeks. When you are ready to make the salve, strain the flowers from the oil using a fine-mesh sieve. If the coconut oil has solidified in the oil infusion, gently heat it by setting the jar in a pan of warm water to melt the oil before straining. Measure out ½ cup of the infused oil. Put the oil into a double boiler on medium heat. Add the beeswax to the oil and continue to heat until it has completely melted. Next, add the shea butter, and when it has melted, remove the mixture from the heat. Carefully pour the mixture into jars or tins. Let the salve cool and set up for 3 to 4 hours before use. Apply the salve on sore muscles, sprains, strains and bruises as often as needed for several days, or until the pain has subsided. 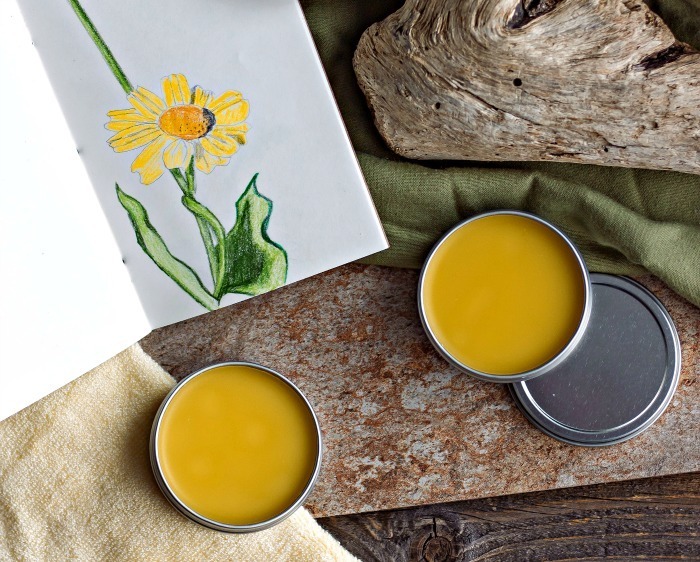 This arnica salve is safe to use on children ages 8 and older following a patch test. Rub a small amount of the salve on the back of the hand and wait to see if there is any reaction before using. Yields about 5 ounces of salve. Other pain-relieving herbs you can use are Saint John’s wort, cayenne and peppermint. Thanks for stopping by! Yes, this is one salve that sure comes in handy!! !